EXOCOAT Clearview-2 is a 2-component sol-gel-based system for use on glass substrates. 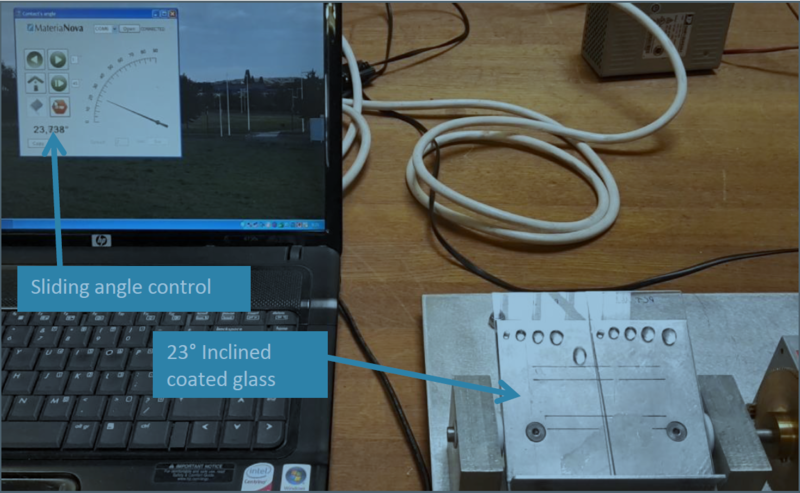 It converts glass into a hydrophobic and oleophobic surface and renders them liquid repellent. After mixing component A and B (2:1) the application shall be done by polishing until a completely transparent layer is gotten. The repellent layer is permanent and resistant against mechanical abrasion. EXOCOAT Clearview-2 is applied by polishing. 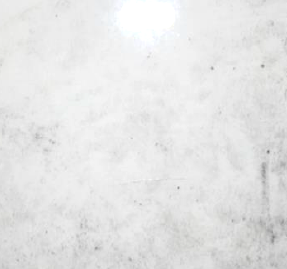 After mixing component A and B (2:1) polish with EXOCOAT Clearview-2 using little force to obtain a completely transparent nanolayer of hydrophobic coating. 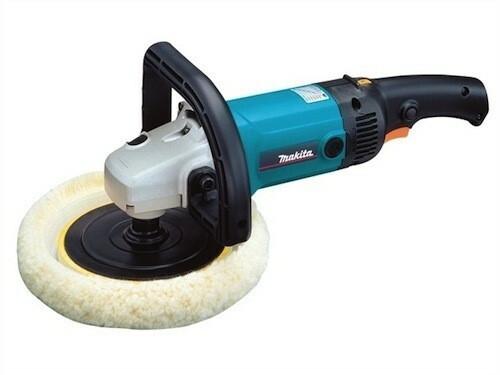 Professional polishing machines may be used as well. 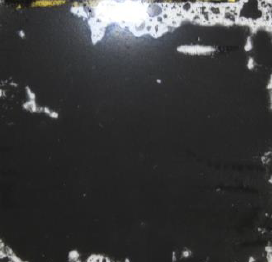 In order to analyze the chemical resistance, the coated surface was subjected to acid, alkaline and glycol to see the effect of the chemicals after 24hrs. Below table shows that the contact angle to water has remained >100° and decreases only slightly due to the harsh chemicals. 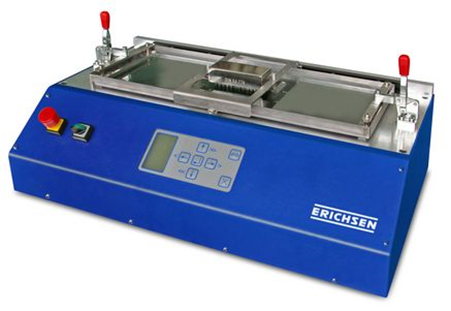 Abrasive testing was done using a scrub tester. The scrub test seen on the left in below picture was equipped with a nylon brush. The brush was loaded with 45% silica and 2% detergent according to norm: ASTM D2486. It was left to run 2500 scrubbing cycles after which the contact angle was measured. In the table below, it shows that after the scrubbing the contact angle to water has only dropped 3° and it may be concluded the mechanical resistance of EXOCOAT Clearview-2 is very high. In the dirt pickup test a 1% carbon black solution is poured on the coated substrate (in horizontal position) and left to dry for 24hrs. After drying the panels are put at 45° inclination and water rinsing is used to clean the glass. 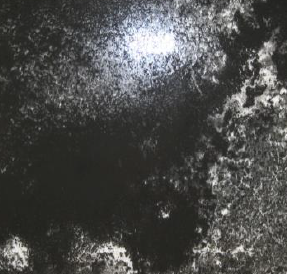 In the picture below (using a white background), it can be seen that for the untreated glass (left side) there is more carbon black residue than on the EXOCOAT Clearview-2 treated glass (right side) which is nearly completely transparent again. In below test the tilting angle is slowly increased by a computer directed process. As can be seen on the surface, at 23° the first droplet starts to roll down, which means the surface has a sliding angle of 23° for this size of the droplet (100µl). When for example used on windshields of cars, water droplets roll off instantly whenever windshields are tilted above say 25° (on average tilt angles on modern cars are between 40-55°). EXOCOAT Clearview-2 is a sol-gel system that is applied to render every glass surface, water repellent. When polishing an invisible nano-layer onto glass, the glass becomes hydrophobic with contact angles around 110° for water. 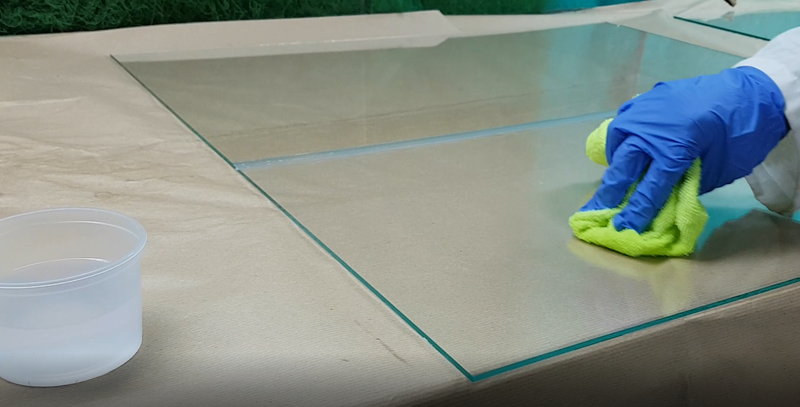 In practice this means that the treated glass is very water repellent and any dirt can be easily removed with water only. The protection is durable and resistant against acids, alkaline and glycol and mechanically resistant.